Your doctors and physicians are some of the most important people on your staff. 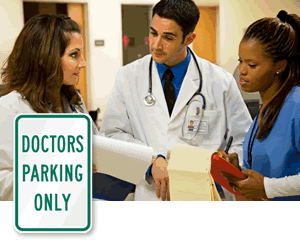 Make sure everyone has a designated space with doctor parking signs. • Perfect for clinics that share parking lots or garages with other businesses and facilities. • And, grab a few signs to reserve spots for your patients. Quality patient care starts at the door. Reserve valuable parking spaces for your patients. 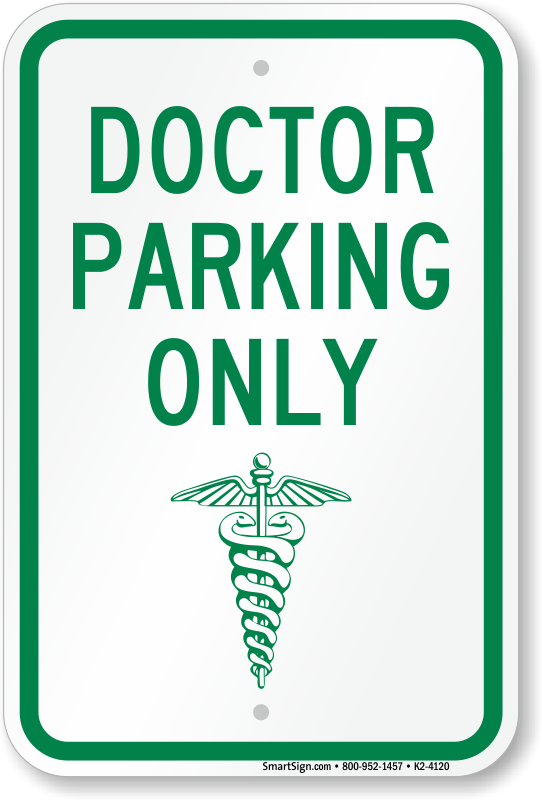 Click Here to see a wider selection of nurse parking signs. We were very happy with the look and the quality of our new signs.